Liverpool midfielder Georginio Wijnaldum believes team-mate Sadio Mane deserves to be in the same bracket as the Premier League’s top strikers. 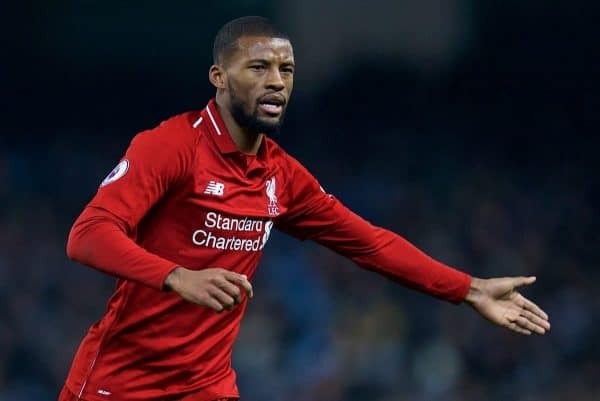 The Senegal international scored his 18th and 19th goals of the season in the 3-1 win over Bayern Munich which put the Reds into the quarter-finals of the Champions League. That tally puts him only one behind Mohamed Salah. In terms of Premier League goals the diminuitive forward, who plays out wide and not through the middle, has 16 in 29 matches – just two behind leading scorer Sergio Aguero. 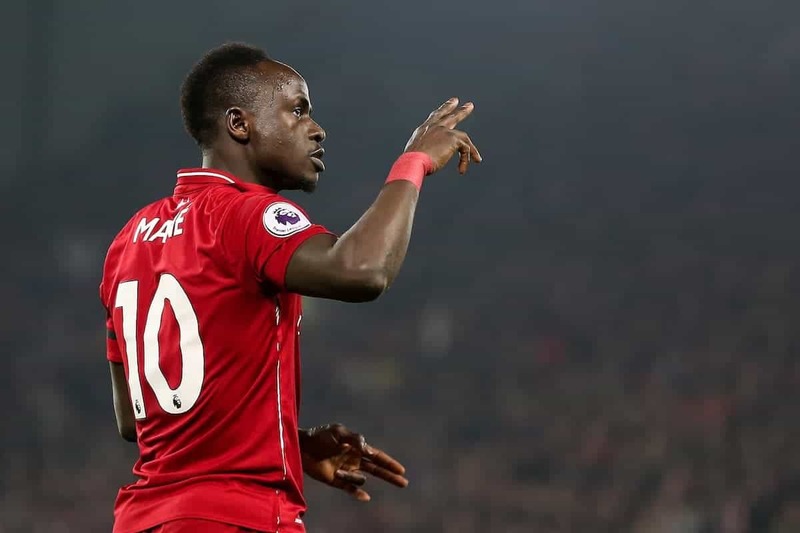 Mane has 10 goals in as many games in all competitions – including three doubles – and is enjoying his best goalscoring return in his five seasons in English football. And that is why he has to be mentioned alongside the City striker and his in-form team-mate Raheem Sterling, Tottenham’s Harry Kane, and Salah. “He is really good. The games tell you that, he is really important with his goals and assists. A good season, his best with us,” said the Holland international. “They (media) do not speak about him? I think the other players have shown they get the headlines but Sadio also. “He has had a big influence on winning games. Mo did not score (against Bayern) but had a good game. “People speak about the player who had two goals. A lot of players do the work and make the difference. 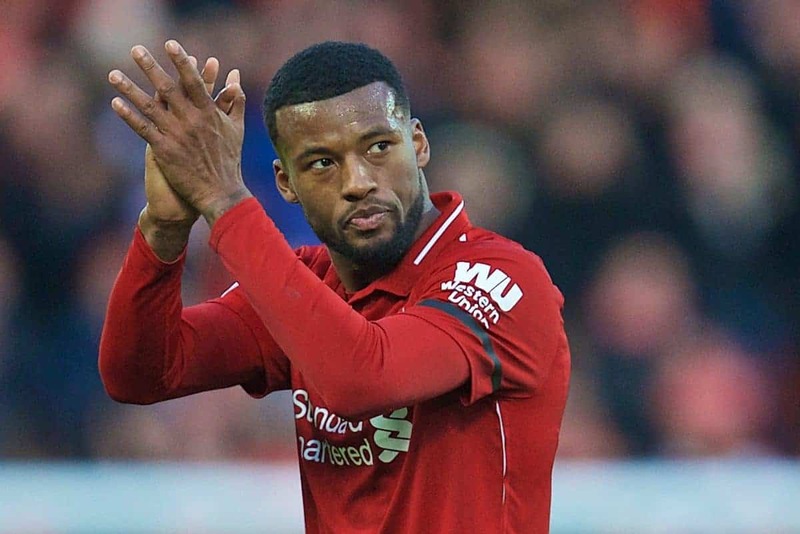 Wijnaldum is the most senior, established player yet to be rewarded with a new contract after the likes of Salah, Mane, Roberto Firmino, Trent Alexander-Arnold, Joe Gomez and Jordan Henderson all got new deals in the last 12 months. However, with the club still fighting on two fronts it is an issue the Dutchman, who still has more than two years remaining, is not concerned about. Especially as a new contract will, in all probability, most be sorted over the summer ahead of next season. “No. I did not speak with the club yet,” he said. “(Is it) a problem between me and the club? I am not a person who has problems. That (contract) is something for the club. I will see what happens. “I signed a five-year contract (in the summer of 2017) and I am still under contract.